Journal of Lekovite Sirovine (tr. Natural Medicinal Materials) is a peer-reviewed open access journal with no publication charges, costs or fees for publication. The journal is published yearly and covers all areas of Medicinal Plants research, Ethnopharmacology, Fitoterapia, Phytomedicine, Medicinal fungi, etc. It is a scientific journal with a long tradition, since 1951. From the 25 Aug 2017 journal Lekovite Sirovine has been added to the Directory of Open Access Journals (DOAJ), community-curated online directory that indexes and provides access to high quality, open access, peer-reviewed journals. 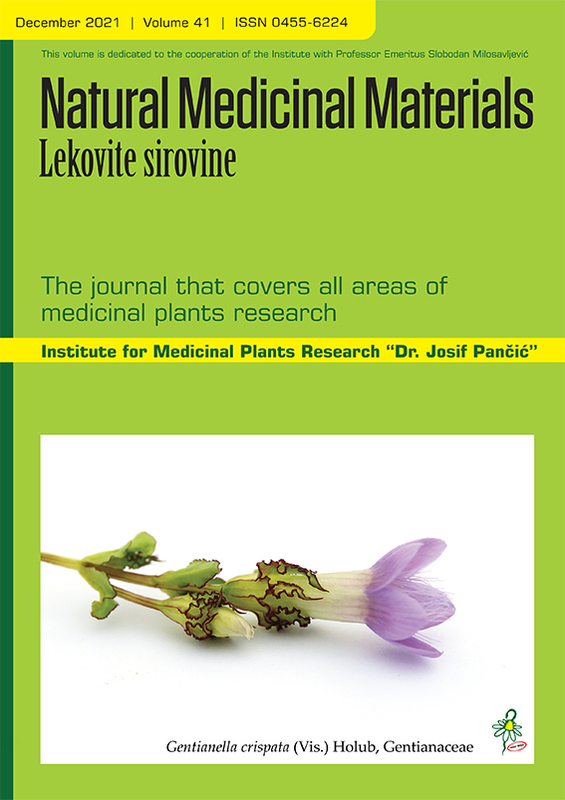 According to the categorization of Serbian scientific journals in the field of biotechnology and agriculture for 2018 year, journal Lekovite Sirovine is in M24 category.